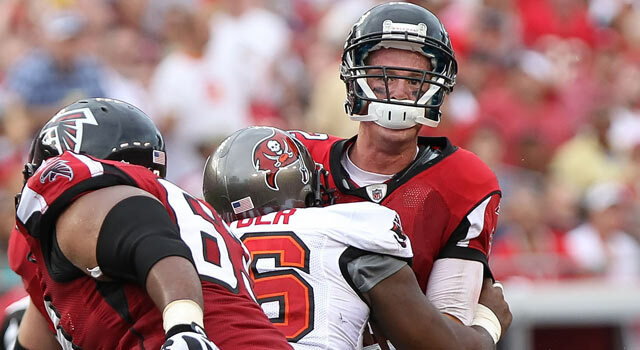 Published: Sept. 28, 2011 at 01:07 p.m.
Matt Ryan has been sacked 13 times this season, which ranks as the third-highest total in the league. The Falcons were expected to make a run at the Super Bowl after a few splashy moves in the offseason. However, they have gotten off to a 1-2 start and look nothing like the unit that won the NFC South a year ago. 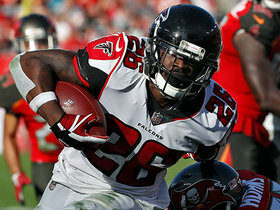 The Falcons have reeled off three straight winning seasons behind an offense that operated with a run-first premise. Michael Turner was the primary focus of the game plan and his ability to generate yardage on the ground set the table for the rest of the offense. Although his ability to routinely top the 100-yard mark was indicative of the Falcons' success (Atlanta is 18-3 record when Turner rushes for 100 yards), the added benefit was wearing opponents down and creating explosive passing plays off play-action fakes. This season, however, the Falcons have abandoned that approach and fewer explosive plays have been the result. The Falcons have only produced two runs of 20-plus yards and only eight passing plays of 20-plus yards, which ranks 21st in the NFL. Part of the dismal production can be attributed to the fact that Turner is only averaging 14 carries a game. 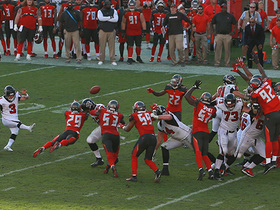 The lack of attempts have prevented Turner from getting into a rhythm and resulted in opponents disregarding Matt Ryan's run fakes to Turner. Facing fewer eight-man fronts committed to taking away the running game, Ryan has found it harder to push the ball deep and been forced to settle for short throws underneath coverage. While the league continues to move towards a pass-first premise, the Falcons are at their best when the running game sets up the pass. They must get back to that approach quickly or run the risk of falling farther behind in the ultra-competitive NFC South. 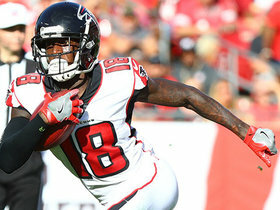 The Falcons became one of the league's elite by avoiding the self-inflicted miscues that undermine a team's ability to win. Penalties, sacks and turnovers are often tied to underachievement, and the Falcons have been bad in each category. One of the least penalized teams in 2010, the Falcons already have drawn 23 flags in three games and the excessive infractions have been particularly costly on offense. The unit has been forced into difficult long-yardage situations, which eliminates the running game and forces Ryan to throw against a defense ready to get after the passer. This not only reduces the odds of Ryan being productive, but also leads to other negative plays -- sacks and turnovers -- caused by being exposed to pressure. The turnovers, in particular, are disturbing due to ball security the Falcons have displayed in the past. Under Mike Smith, Atlanta has typically dominated the turnover battle, but they have lost that critical category in both of their defeats. While interceptions can occasionally come on tips or deflections, the majority of picks are the result of forcing balls into traffic. Ryan has thrown into crowds due to the difficult circumstances (being behind or long-yardage situations) he's faced. Fumbles, on the other hand, are strictly a concentration issue and the Falcons haven't done a great job of focusing on taking care of the ball in traffic. Putting two hands on the ball with defenders closing in or being aware of rushers in the pocket will prevent fumbles. Finally, the offensive line must do a better job of protecting Ryan. The unit has surrendered 13 sacks, the third-highest total in the NFL behind Chicago and Seattle, and exposed Ryan to numerous hits. Sam Baker has especially struggled holding up in protection, surrendering at least a sack in every game. With the persistent pressure creating discomfort for Ryan, it is not surprising turnovers are up. 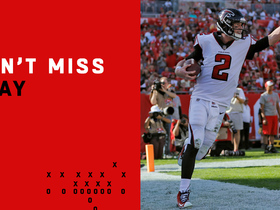 The Falcons have gotten off to slow starts in each of their games. They have failed to score a touchdown on any of their opening drives and have spent most of their games operating in catch-up mode. The aforementioned issues -- lack of commitment to the run and negative plays -- have contributed mightily to their struggle, but the offense has struggled to find a rhythm in the opening half. Their opening script has yielded few explosive plays, and they haven't shown the ability to move the ball on extended drives (10-plus plays). To get the unit going, offensive coordinator Mike Mularkey should consider using the no-huddle offense to start the game. Ryan has been exceptional directing the attack and it allows him to call the game from the line of scrimmage. For an astute quarterback with a great feel for reading coverage, this allows him to get the offense into favorable runs or passes designed to exploit the weakness of the defensive front. Also, the utilization of the no-huddle allows the Falcons to dictate the tempo to the defense. They are able to control the opponent's substitution pattern with their pace and it forces defensive coordinators to make difficult decisions about personnel. In a league built upon matchups, this is a significant advantage for the Falcons and the coaching staff should see if the approach would yield the same results it has produced in the second half of their previous games.